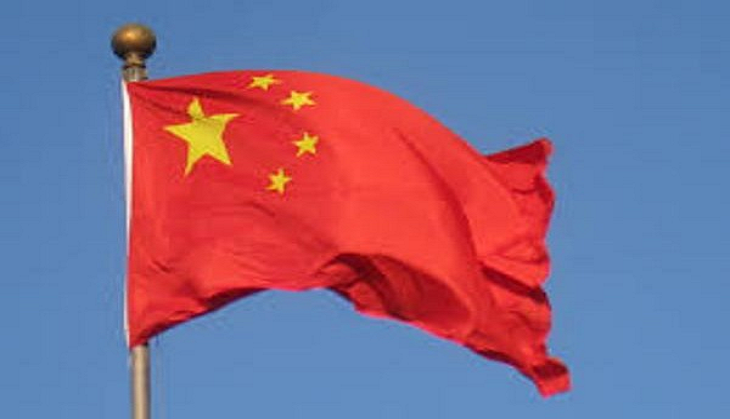 China said today that diplomatic channels with India remained "unimpeded" to discuss the military standoff in Sikkim sector but reiterated that the withdrawal of the Indian troops from Doklam area is a "precondition" for any meaningful dialogue. "Our diplomatic channel is unimpeded," Foreign Ministry spokesman Lu Kang told reporters, confirming talks between Indian and Chinese missions to resolve the standoff. Lu, however, reiterated that "the withdrawal of the Indian border personnel is the precondition for any meaningful dialogue and communication between the two countries". In New Delhi, External Affairs Minister Sushma Swaraj said the matter can be resolved through talks. "We are willing to talk, but both sides have to first take back their armies," she told the Rajya Sabha. The minister said the boundaries between India and China are yet to be finalised and the two countries will do that bilaterally through discussions, while the same between China and Bhutan too will be done through bilateral talks. She accused China of building roads using bulldozers and excavators, which has been protested by Bhutan in writing to China. Chinese and Indian soldiers have been locked in a face- off for over a month after Indian troops stopped the Chinese army from constructing a road near the Doklam plateau, fearing it may allow China to cut India's access to its northeastern states. India and China share a 220-km-long border in Sikkim. Lu claimed that the incident makes it clear that "Indian border personnel illegally trespassed into China's territory." The standoff is expected to figure prominently during the visit of National Security Adviser Ajit Doval to Beijing for the meeting of NSAs from BRICS - Brazil, Russia, India, China and South Africa - countries from July 26-27. Chinese officials say while there may not be a formal meeting between Doval and his Chinese counterpart Yang Jiechi, there can be informal talks between the two officials, who are also the Special Representatives of their countries for the border talks. Both countries have so far held 19 rounds of talks. Earlier this month, China had refused to acknowledge that Chinese President Xi Jinping even met Prime Minister Narendra Modi during the G20 Summit in Hamburg, Germany as the standoff continued. India's Ministry of External Affairs, however, the said that the two leaders met and discussed a "range of issues".